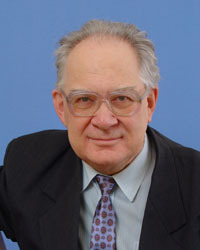 The head of the laboratory is Ermakov German Victorovich, Doctor of Physics and Mathematics, a laureate of the RF State Prize, the author and a co-author of more than 160 scientific papers, including three monographs, six author,s certificates and patents of the RF for invention. The laboratory of properties of substances and superconducting materials was organized in 1992 in connection with the realization of the state program of introduction of superconductivity into power engineering. With the discovery of high-temperature superconductivity the laboratory passed on to the investigation of these materials. Laboratory staff: 10 persons, including one Doctor and one candidate of Physics and Mathematics, one candidate of Technology, one research associate, two junior research associates, one engineer, one post-graduate student, one turner, one senior laboratory assistant. Stability of the critical state in high-temperature superconductors. Development of physical foundations for designing magnetic supports and magnetic-field sources on the basis of HTSCs. The equation of state, isobaric heat capacity, the ultrasound velocity in superheated organic liquids have been studied by experiment. Methods of calculating these properties and the boundary of thermodynamic stability of the liquid phase have been developed. Measurements have been made of the attainable-superheat temperature and the temperature dependence of the mean time of boiling-up expectation for ordinary organic, fluoroorganic liquids and liquid helium-4. The conditions of superheat release with ultrasound have been studied. A study has been made of the kinetics of boiling-up of organic liquids in glass capillaries depending on their volume in the presence of fine-grained metal particles and adsorbents at surfaces of different hydrophoby. In the sphere of superconductivity a study has been made of the magnetic properties of granulated superconductors depending on the concentration of the superconducting phase. The effect of decreasing the Meissner susceptibility at a high concentration of superconducting phase has been investigated. The stability of levitation of high-temperature superconductors has been studied under oscillations of the external magnetic field and the effect of the flow creep. The effect of resonance slope and upset of levitation of superconductors with an alternating magnetic field has been revealed. The phenomenon of levitation stabilization in reversible magnetization of superconductors has been investigated. A model of internal magnetic relaxation has been developed. Work of practical significance is done in the laboratory in parallel with fundamental investigations. Methods of creating magnetic fields of the required profile with the help of massive superconductors and a means of supplying superconducting winding have been developed. A study has been made of the current-carrying capacity of HTSC ceramics and alternating-current films. A method has been developed and a portable device has been created for determining the content of the superconducting phase in HTSC materials, noncontact methods have been developed for measuring the critical current of massive samples and HTSC wire.